Motulsky, who founded the UW Division of Genetics in 1957, escaped Nazi Germany as a Jewish refugee. He later joined the U.S. Army and became a titan in the UW School of Medicine. In 1939, Arno Motulsky was a 16 year-old German Jew fleeing for his life from the Nazis. Along with his parents and his brother and sister, he boarded the MS St. Louis, bound for the U.S. with the hope of getting to Chicago to live with an uncle. But the ship was turned away by the State Department, whose functionaries claimed that the refugees posed a security risk to the United States. Back in Europe, and separated from his family, Motulsky was sent to an internment camp riddled with typhus, cholera and dysentery. At that moment, there were few indicators that Motulsky would become a founder of the field of medical genetics, or that he would be among the first scientists in the world to suspect and then prove that genes affect drug actions. Or that he would mentor Nobel prize winners during their student days at the UW and become known in higher education circles across the U.S. for being a model of how to mentor young scientists. Amazing for a young man who hadn’t even been able to finish high school because the Nazis expelled Jewish children from Germany’s schools. Motulsky, who founded the UW Division of Genetics in 1957 along with another revered UW geneticist, Stanley Gartler, is also known as the father of pharmogenetics, the field devoted to understanding how drugs affect patients differently depending on their genes. Motulsky died Jan. 17 in Seattle at age 94, after a life full of surprising twists and turns. Once in the U.S., Motulsky worked to pass high school equivalency tests. He studied and he worked and then he studied more. 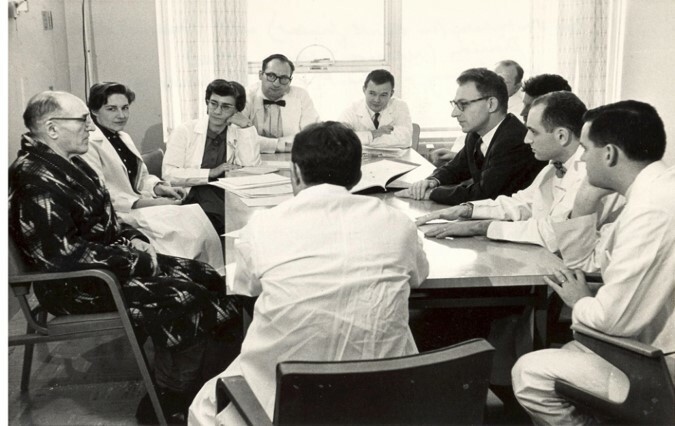 He joined the U.S. Army and as part of a program for rapid training of physicians, he earned his medical degree from the University of Illinois in 1947. He eventually settled at the UW, where his scientific imagination bore fruit. During the 1960s, his interests included the global role of genetic variation in human disease and in genetics as a tool to understand biological processes. He also studied and taught extensively about Jewish genetic diseases and their origins. He even researched the genetic basis of colorblindness and a host of other conditions and diseases. There was nothing Motusky liked better than tackling a thorny genetics problem with a young colleague. Probably the most famous mentee that Motulsky had was Joseph Goldstein. 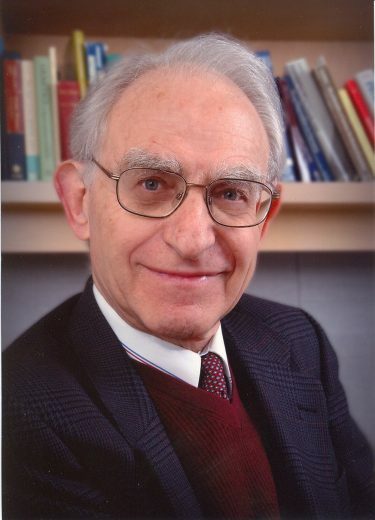 Motulsky watched proudly in 1985 when Goldstein, ’72, and Mike Brown were awarded the Nobel Prize in Physiology or Medicine “for their discoveries concerning the regulation of cholesterol metabolism.” Motulsky continued to work with lipids throughout his career and put in place the basic building blocks that eventually led to the development of statins, a class of drugs that has saved millions of lives because of its cholesterol-lowering properties. Motulsky may be gone but his reach lives on in many ways. He obtained one of the first training grants in medical genetics from the NIH and the grant is now in its 41st continuous year. Motulsky’s mind was a creative one that led him always to be asking questions. He taught and mentored students and conducted a broad swathe of research in genetics, but he was also a kind, compassionate person who, despite his standing as a giant of science, retained humility. His entire life was a witness in opposition to the inhumanity that he fled almost 80 years ago.